Explore how to cope with change at work. In organizations, change happens everywhere – systems, job roles, products, mergers, acquisitions, tasks, services etc., are constantly changing. Don’t get left behind, know how to ride the waves of change by knowing how to cope with change at work. If you work in any organization, it is important that you know how to cope with change at work. Why? 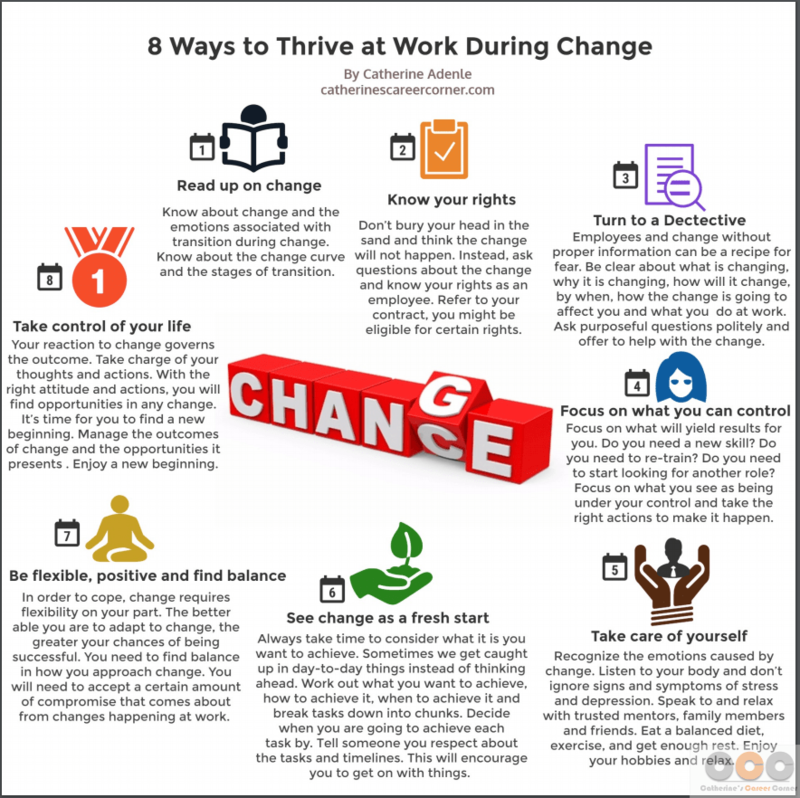 Change at work is now routine and it is constant in all of today’s workplaces. Regardless of what you do, how good and engaged you are at work, you cannot stop change from affecting you or what you do. However, you have one utmost power over change and that is in how you choose to react to and cope with it. 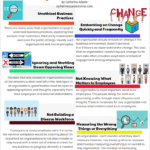 Employees and change… trust me, it’s never simple! Coping with change at work is stressful for most people because work is a big deal to most of us. It’s how we earn a living; pay the rent or mortgage and put food on the table. However, it’s not just about the money. It’s because we invest a lot mentally, emotionally and physically in some cases in our work as we spend most of our waking hours at the grindstone. Therefore, change in any way or shape at work can easily be unsettling for us. Work as we know it has changed due to several factors over the years. No organization is stagnant or else they get left behind or run the risk of competitors driving them out of business or face possible closure. Undoubtedly, such businesses will lose their competitive edge and fail to meet the needs of their growing base of loyal customers. Think Blockbuster, HMV, Borders etc. Remember, folks who were satisfied with their conventional ovens many years ago are now sometimes impatient with their microwaves. As habits change, businesses too need to change. Everywhere you turn, there’s change. Organizations are continuously growing, downsizing, acquiring people and resources as well as merging. For this reason, businesses are now more innovative. They constantly look for better and faster ways of doing business. In addition, they seek the most cost effective ways to achieve better results. Hence, change happens continuously in organizations and often at a rapid pace. As change has become an everyday part of organisational dynamics, employees who resist change risk being left behind, forgotten or face redundancy. Over the course of my career, I have been part of several major and minor change initiatives in various organizations. Employees who are positive about change and take positive actions related to any change being implemented usually succeed and make the transition well at the end. Such employees are always quick to look at their options, focus on what they can change and then chose the best course of action. They allow themselves time to visualize a different future and how they can make the most of the differences. One thing that all change initiatives have in common is, no matter how well designed, prepared and planned the change program is, not everyone will welcome it, get on-board or sing its praises. You can always bet that most people affected in any way, shape or form by any type of change in any organisation will always resist at first. As change will always impact us all in many different ways and in all areas of our lives, there is no getting away from it. So, having the skills and strategies of how to cope with change at work is important. If you are experiencing a particular change right now, you first need to understand what is happening, the impact it is having on you and then how you can positively deal with it. In the workplace, there’s plenty of routine things you do daily. A change in your set work or routine will destabilize you. Knowing how to cope with change at work will help you to walk through the path of change successfully. Coping is the process by which you as an individual attempts to minimize any negative emotions that may arise from the experience of change. It is the cognitive and behavioral efforts that you cultivate to deal with experiences that you see as traumatizing or as exceeding your capacity not to worry. For most people, change of any kind is difficult to navigate. When there’s change at work, you know that it may abruptly alter the course of your career and lifestyle. This results in panic and you fear change because of all the things it brings along. The main thing is the fear of losing your job, or getting moved to an unfamiliar position. Loss of control at work triggers increased emotions, tension, uncertainty, anger, and other forms of job related stress. No doubt, change can be frightening and disruptive. There are various reasons why you may resist change at work. First, it is normal to resist change. Let’s face it; most people prefer predictability and stability in both their personal and professional lives. So, we typically avoid situations that upset the order of things, threaten our self-interests, increase stress, or involve risks. When faced with changes to the status quo, people usually resist initially. The resistance continues and, in some cases increases, until they are able to recognize the benefits of change and perceive the gains to be worth more than the risk or threats to their self-interests. 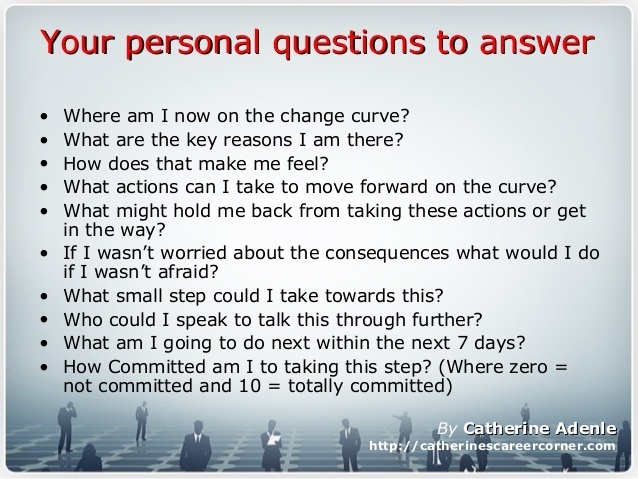 I know that you may resist change because of lack of communication – on the what, why, when, how, who and the support needed by you during and after change. James O’Toole points out in his book, Leading Change, that people resist change due to the fundamental human objection to having the will of others imposed upon them – this to me is true. At the end of the day, all sources of resistance to change need to be acknowledged and people’s emotions validated. It’s far better for organizations to anticipate objections than to spend time putting out fires. Knowing how you can overcome resistance to change is a vital part of knowing how to cope with change at work. Your resistance to organisational change is rarely irrational. You will resist change efforts from a perspective that makes perfect sense to you. However, having a positive attitude backed up by the right actions will help you to cope with change in the workplace. 1. Fear of loss of job – you may be afraid that you will lose your job, so you don’t want any change to take place. 2. Bad communication strategy – if there is little or no communication about change, you will be unsettled and you will resist change. 3. Shock and fear of the unknown – during periods of change, you will feel the need to cling to the past because it was a more secure, predictable time. 4. Loss of control – you feel that change is imposed on you and so feel powerless. 5. Lack of competence – this is difficult for you to admit openly. But sometimes, change in organizations necessitates changes in skills, and it’s normal for you to feel that you won’t be able to make the transition well. 6. Poor timing – change was introduced when another initiative was going on and it was introduced in an insensitive manner or at an awkward time. 7. Lack of reward – you do not see anything in the change for you in terms of reward or recognition. So, ‘what’s the point?’ is the question you ask yourself. 8. Office politics – you may use resistance as a political strategy to “show or prove” that the change decision is wrong. 9. Loss of support system – you worry about unfamiliar projects and people because you fear that if you try and fail, there will be no one there to support you. 10. Former change experience – bad experience of change that you may have had in the past is still hunting you. 11. Empathy and peer pressure – as a social creature you want to protect the interests of your group, team friends, and colleagues. It is normal for employees to resist change to protect their co-workers. 12. Lack of trust and support – you may see your organization as being untrustworthy as demonstrated sometime in the past, so why would you trust such an organisation now? Regardless of your reasons for resisting change, it is time to let go and explore how to cope with change at work. While you can’t change the way others behave, you can change your own behaviour. The following 10 tips as shown below will help you to move forward, even if you are dealing with different emotions. You must develop the proper attitude towards change and realize that it is neither good nor bad. In fact, it is the way you deal with it that will determine how successful it is for you. With the right attitude and actions, you will always find opportunities in change. 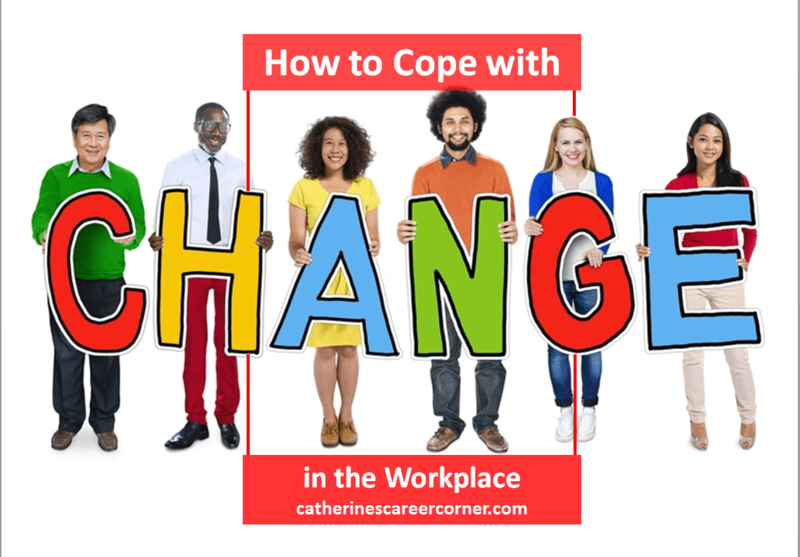 When you’re anxious about change or worried that your working days will look dramatically different, try this guide on how to cope with change in the workplace. Recognize the emotions caused by change. • Help you to know where you are on the curve and why. • Furnish you with the knowledge that everyone experience similar emotions during change. Know your rights – This is an issue that your manager or HR can help you with. When there is a change in your organization, you should make sure you are clear about what is changing, why it is changing, how will it change, by when and how is going to affect you. Check your original contract, know if there is going to be a new position for you, by when, know your new job description, obligations, hours, pay and perks. Don’t bury your head in the sand and think the change will not happen. Instead, ask questions, out about all about the change. Turn detective – Don’t get left in the dark. Employees and change without proper information can be a recipe for fear. Seek out what you need to know by speaking to senior staff, researching online, or turning to HR for a transparent explanation as to what the changes involve. Demonstrate genuine concern for aspects of change that you don’t understand. Know what you can control and what you have no control over. Focus on what you can control – Focus on what will yield results for you. Do you need a new skill? Do you need to re-train? Do you need to start looking for another role? Focus on what you see as being under your control and take the right actions to make it happen. If people at the top promise all kinds of exciting rewards, you should keep your eyes peeled and see how you can benefit from most of the rewards. 5. Take care of yourself – Recognize the emotions caused by change. Then, listen to your body and don’t ignore signs and symptoms of stress and depression. Speak to and relax with trusted mentors, family and friends. Eat a balanced diet, exercise, and get enough rest. Enjoy your hobbies. Be pragmatic about change. 6. See change as a fresh start – Always take time to consider what it is you want to achieve. Sometimes we get caught up in day-to-day things instead of looking and thinking ahead. – Tell someone you respect and admire about it – that will encourage you to get on with things. The silver lining to the big change is the opportunity it presents for you to begin afresh. When considering how to deal with change, just look to the positives. Use it to reinvent your professional persona, to brighten up your booth or to add new skills to your repertoire. 7. Be flexible and find the balance – In order to cope, change requires flexibility on your part. The better able you are to adapt to change, the greater your chances of being successful. You need to find balance in how you approach change. On one hand, you don’t want to become the office pushover and start working insane hours just to take your head off the redundancy chopping block if the change means layoff for some employees. However, on the other hand, you will need to accept a certain amount of compromise that comes about from changes at work. Don’t refuse or resent every task that comes your way, or you might need to question if you want to continue working there at all. 8. Keep records –Document all the major changes in relation to your role, and keep copies and evidence of anything you may feel has been genuinely unfair. You might need it later. When there is a change in organizations, senior staff can mistakenly abuse good faith, or simply make mistakes amongst the confusion. Be vigilant and know how to politely speak up! 9. Take control of your life. Your reaction to change governs the outcome – Take charge of your thoughts and actions. With the right attitude and actions, you will find opportunities in any change. Find an outlet to ward off steam. When considering how to deal with change in organizations, you also need to consider how to cope outside of work. If the transition dominates your mood at home, you need to find an outlet to vent and diffuse all that pent up frustration. Mixing employees and change is draining during the working week. Talk to a friend; focus on your hobby, play the drums; go for a run and do healthy things. Don’t use alcohol or any types of drugs to wind down, as that kind of ‘medicinal’ use could easily spiral out of control. 10. Keep smiling. It’s time for a new beginning – Manage the outcome of change. You may have a new role, new job or new business venture. You may be going back to school or changing employer, the world is now your oyster, make the new beginning work for you. Whatever you decide to do, if you think you can, then you will.Change is hard and it can disrupt the sense of ownership that you’ve cultivated over your work. Everyone is likely to feel the same as you, so it’s important not to let an enormous black cloud form on top of your head. Try to remain chipper and friendly as you ; it’ll be a big help to all your colleagues and may help you feel better too. Change in itself is good for organizations and individuals. It makes the world go round. 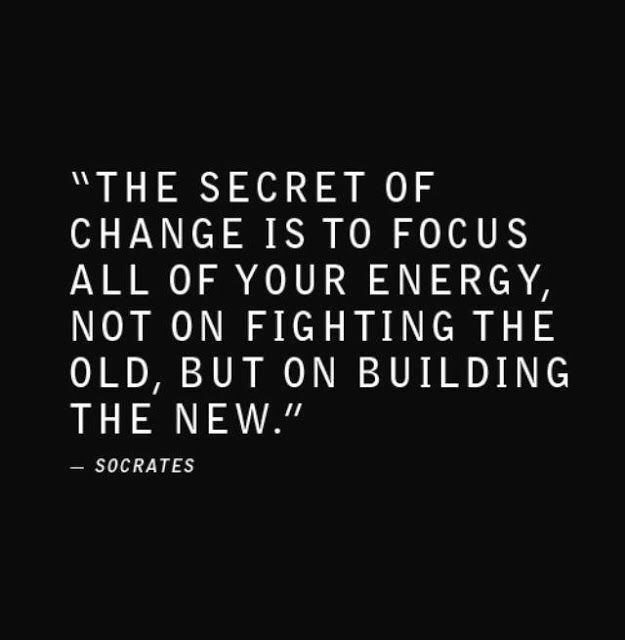 For you as an individual to get the best outcomes from change, you have to focus on the opportunities that it brings. 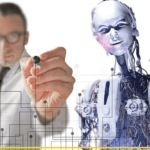 The fundamental point here is that the increasing impact of technology and information on our lives raise a host of business opportunities that no organizations or individuals can ignore. The impact of the web, social networking, the ease of using our mobile phones to connect us to services, the availability of clever search engines, big data, startups etc,… the list goes on cannot be ignored.These developments in technology mean that we need to learn new ways of doing business, working and communicating. We also need to know how to be change ready, cope with change and find a new beginning. 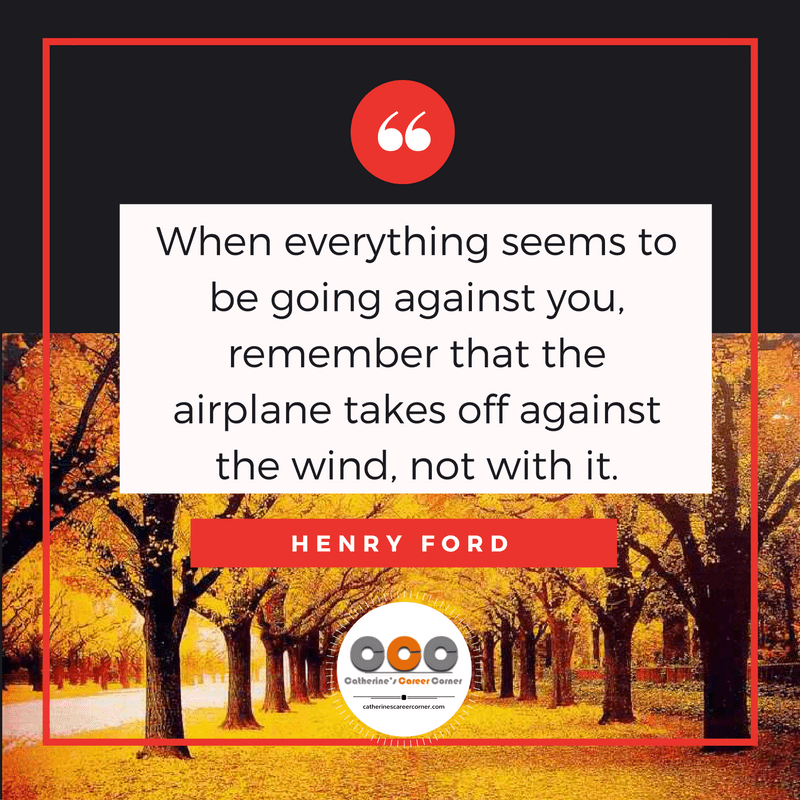 When it comes to knowing how to cope with change at work, importantly, it’s often your attitude towards change that determines your emotions, your experience of it and how you will be affected by it. Some people view change positively, and see it as an exciting opportunity to learn and grow at work. Others see change negatively, as something to fear and to avoid at all cost. How do you view change at work? 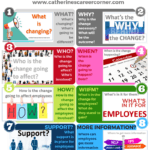 It’s important for you to know how to cope with change at work. People who resist change will likely find themselves left behind or overlooked for important projects and passed over for promotions. Your inability to know how to cope with change at work can also lead to stress, and other negative physical and psychological effects. Still struggling to cope with change at work? Change will always come around as long as you live. The main key thing to know about how to cope with change at work is to know what you have control over. Some aspects of your life will always operate outside your control. Hence, it’s important to remember what is within your control and what is not. Perhaps you are laid off, and you’re concerned about finances. Although you can’t control your employment predicament, you can develop a strategy to make ends meet – whether it’s taking on a temporary job, cutting out entertainment expenses or starting a small business. You must always remember that your emotional and mental well-being is more important than any work. It is just as important as your physical health. Reaching out to others and experts for help is never a sign of weakness. Rather, it’s a sign of strength. If the tips above aren’t helpful with how to cope with change at work, it might be time to seek professional help. Have more tips and ideas of how to cope with change at work? Share them with us by leaving your comment below. 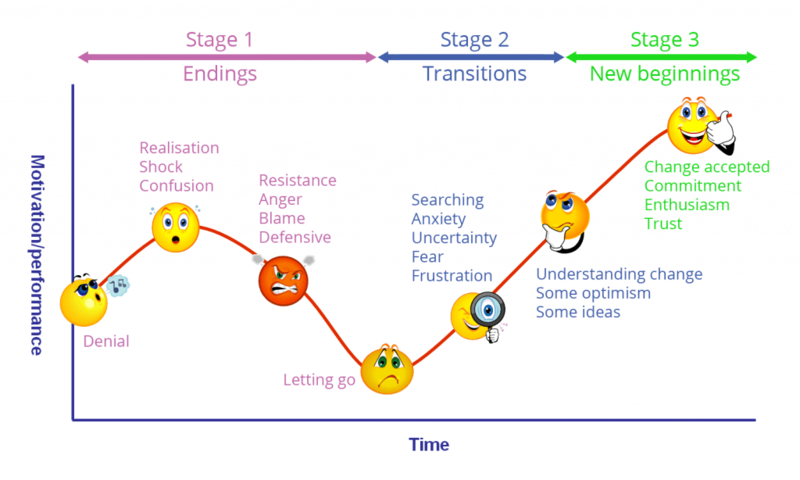 This is a great article full of practical tips on how to cope with change. I have started to use it for my staff at work. The presentations are particularly useful too. Thank you @catherineadenle for a well researched topic. Great comment. Thank you for taking the time to read the post and for using it at work. Appreciated. What a generous post on coping with change. Thanks for an apt article for employees undergoing change. You hit the spot for me with this. Insightful post. It’s well researched. Thank you. Thank you for your kind comment, Billy.